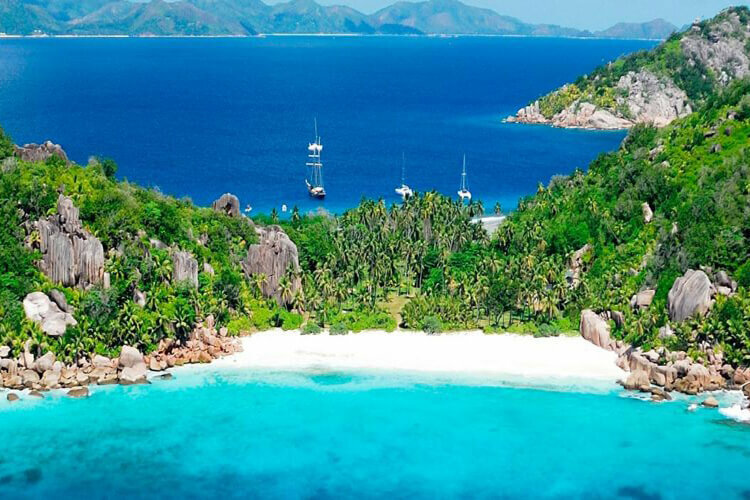 The Republic of Seychelles comprises 115 islands occupying a land area of 455 km² and an Exclusive Economic Zone of 1.4 km² in the western Indian Ocean. It represents an archipelago of legendary beauty that extends from between 4 and 10 degrees south of the equator and which lies between 480km and 1,600km from the east coast of Africa. Of these 115 islands, 41 constitute the oldest mid-oceanic granite islands on earth while a further 74 form the low-lying coral atolls and reef islands of the Outer Islands.The granitic islands of the Seychelles archipelago cluster around the main island of Mahé, home to the international airport and the capital, Victoria, and its neighbouring islands of Praslin and La Digue. 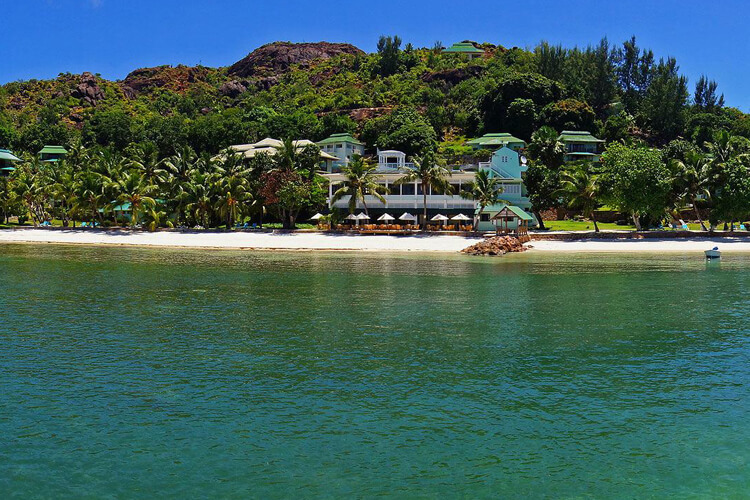 Together, these Inner Islands form the cultural and economic hub of the nation and contain the majority of Seychelles'’ tourism facilities as well as its most stunning beaches. this colorful blend of cosmopolitan life with people of diverse races, religions and cultures travelers from across the continents of Africa, Europe and Asia have settled here down the ages - each bringing and lending to this vibrant country their own distinct flavor of culture and traditions, thus creating eclectic mix of Seychellois culture. 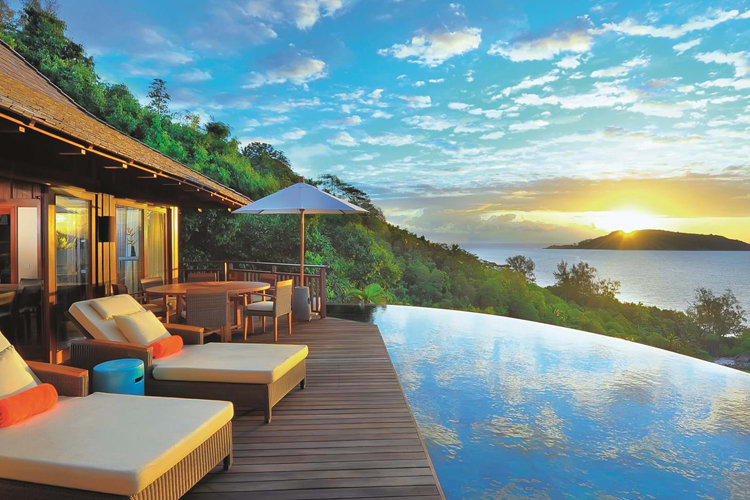 Seychelles, with its idyllic natural beauty and peacefully, paced lifestyle is like a slice of heaven on earth must visit to immerse yourself in the true spirit of nature. Arrival at Mahe Island airport. Meet & greet by our local representative at the airport. Pick-up from the airport and transfer to the hotel. Check into the hotel. After that, you will visit the Bel Ombre Beach and enjoy the water sports activities. Overnight at Mahe. After breakfast, you will proceed to Full Day Discovery Tour Of Mahe. Explore the court building, museum, post office, Clock tower. A short walk around the Albert Street and see the colorful markets. Overnight at Mahe. After breakfast proceed to Praslin by ferry. Transfer to the hotel and Check-In. Rest of the free at leisure. Overnight at Praslin. 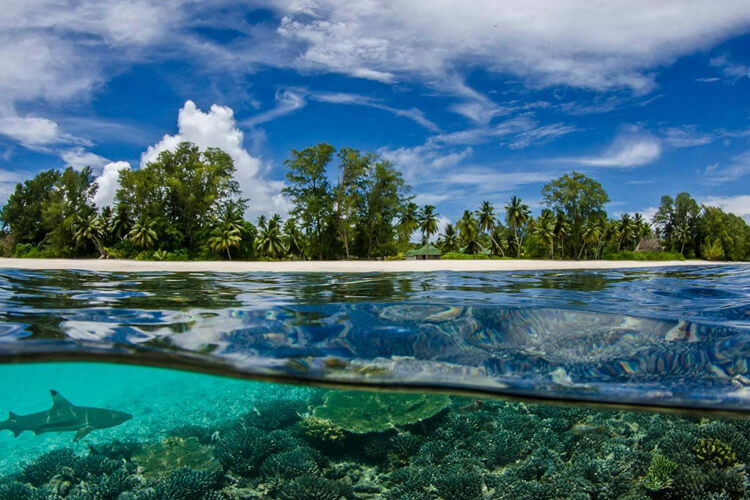 After breakfast, you will visit the Anse Kerlan Beach and enjoy the water activities such as diving, snorkeling, and deep fishing. 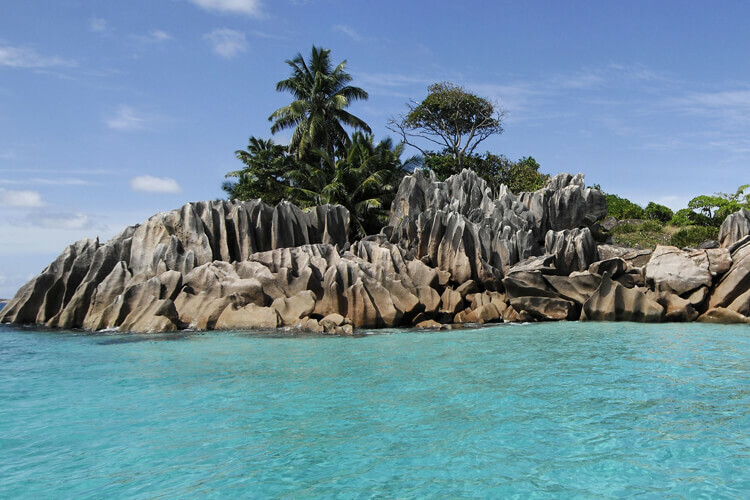 Next, you will visit the Anse Lazio and enjoy the beauty of clear blue water and white sand. Overnight at Praslin. After breakfast, you will visit the Craft Village and explore the Seychellois Cultural Heritage. Next, you will proceed to Praslin Museum. Explore traditional artifacts such as ancient musical instruments, endemic, and medicinal plants during your visit. Overnight at Praslin. After breakfast proceed to Mahe by ferry. Transfer to the airport to board your flight. Best trip ever trip and loved this place and would visit this place again!. Quick response and great price! 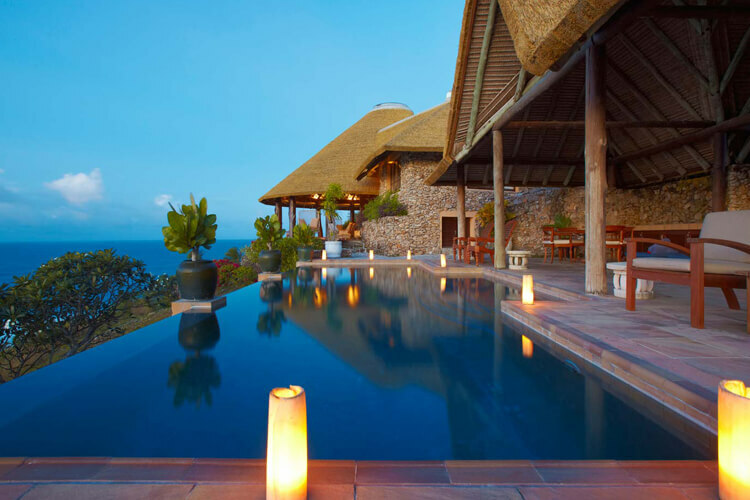 This is a very beautiful place but very expensive. The people are friendly and services are good too. It is mostly a place if you want to go relaxing and enjoying the beaches. I had never heard of this country but I wanted to go for sure and koala travels made it possible for me .thanks koala team I had fun . it was damn beautiful we were so confused that how would we manage but later on after visit their website and consulting with agents we were not worried at all. Good services.